BRATISLAVA -- Volkswagen will add a third production shift and create hundreds of jobs to boost production of three new minicars in Slovakia. "Three-shift production, starting from April 16, will create more than 650 new jobs at the assembly plant. 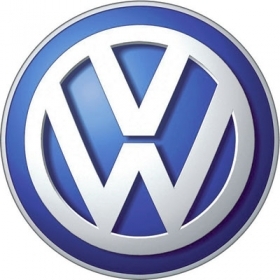 Hundreds more will be created by suppliers," Volkswagen Slovakia board member Wilfried von Rath said on Wednesday. Output of VW's so-called "New Small Family" of models began at the automaker's plant near Bratislava during the second half of 2011 with the production of the VW Up, Skoda Citigo and Seat Mii, all of which began sales last year. In the next few years, VW will extend the lineup of this subcompact family of cars, which share a single platform, to include a a variety of vehicles from a coupe to a minivan. A decontented variant is planned for emerging markets. Volkswagen, one of Slovakia's top three exporters, also produces the Touareg and Audi Q7 sports utility vehicles as well as Porsche Cayenne bodykits at the plant. Production of SUVs at the facility is expected to rise 25 percent this year. The company expects production at the plant to reach 400,000 vehicles this year, up from 280,000 the year before. The New Small Family range will be strategically important to VW as it aims to overtake GM to become the world's best-selling automaker by 2018. In 2011, VW Group sold 8.16 million units, behind GM with 9.03 million.